There’s no denying it – physical activity often comes with its fair share of aches and pains. While many people who exercise regularly are getting better listening to their bodies when it comes to training, one thing most struggle with is differentiating between what is simply a ‘niggle’ and what might indicate an ‘injury’. So, when it comes to keeping fit, when do you tell yourself to keep going, and when should you actually rest? Issues arise when the fine line – between ‘niggle’ and ‘injury’ – gets crossed, and that happens when you don’t allow yourself adequate recovery time. Individual thresholds for how much training load your body can handle before injury will depend on your athletic history (how long you’ve been consistently training for), your biomechanics and your genetic make-up. In other words, the longer you’ve been training at a consistent level, the better adapted your musculoskeletal system will be for tolerating a higher training load. Similarly, the better your movement mechanics are, the more efficiently you’ll be able to move – both of which correspond to a reduced risk of injury. New niggles need to get checked out by a Physio – you don’t want to miss anything nasty! Familiar old niggles that you have been able to self-manage in the past with guidance from your Physio are OK to continue to train with (e.g. Recurring shin splints that you have been able to settle in the past with icing, stretching and massage and relative rest). If you continue to train and it’s not improving or getting worse then see your Physio. Have strategies in place to maintain flexibility and reduce muscle tension post training can be of benefit. Have an assessment with your Physio will help identify any flexibility issues, strength weaknesses or movement and control problems that may increase your risk of injury. Being injured means that you can’t train, race or compete, and all your hard work in training can quickly be lost. While it’s true you need to push to get gains, you also need to recover. We don’t get stronger or fitter from the training we do, but rather how we recover from the training. Having a day or two off to get niggles treated or modifying your training program may result in a missed session or two; but it will keep you training and competing in the medium and longer term. 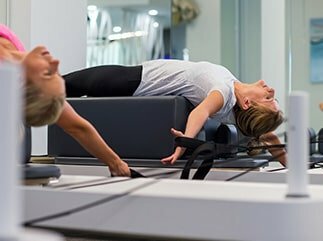 If you are worried about getting injured when training – SquareOne Physios are experts in identifying and addressing the areas of your body or your training load that could pose an injury risk. 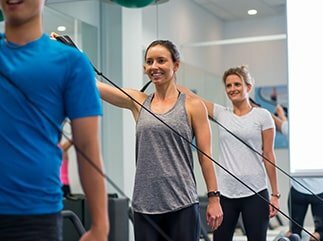 Receiving some Physio treatment or attending one of our individualised clinical exercise programs can help address these imbalances. Book an assessment today to find out how we can help you.